It's that time of the year when I give all the local Ospreys' nests a second glance to see if there is an unusual protrusion of some feathery tufts. Osprey nests are very prevalent in this area and are usually the nest of choice for Great Horned Owls to over take. Each year, though, there is at least one pair of owls that picks a high profile place to raise their chicks. This year's location was in an oak tree just feet from an entrance to the local community college. As you can imagine, this drew a significant amount of attention from a number of spectators, many of which lacked any knowledge of wildlife ethics. Luckily the college stepped in and roped off a perimeter around the tree. I tried to briefly stop by each week to catch a glimpse of the rapid growing owlets. 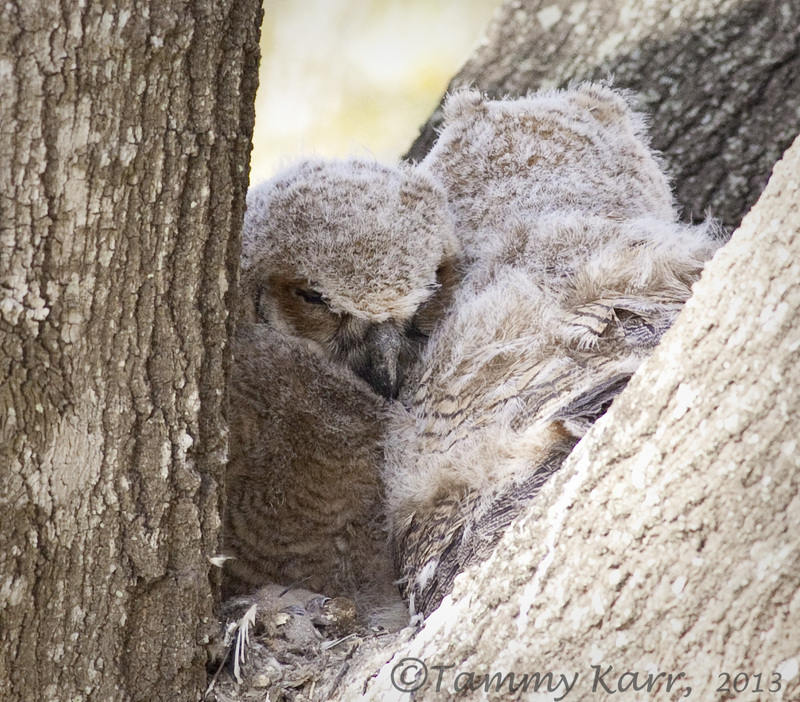 The first time I saw the two owlets they were already a few weeks old. Mama was standing watch from a tall pine across the parking lot. 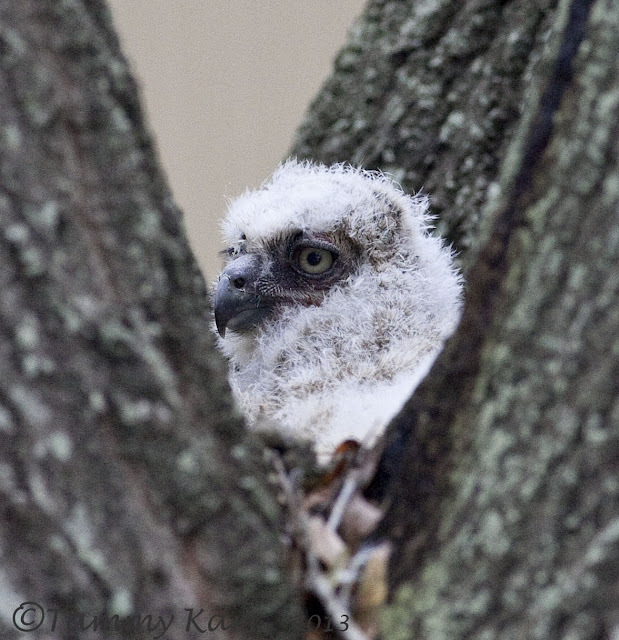 The next week the owlets had grown quite a bit. You could see the development of some tiny ear tufts. My final visit was on a cold, windy Sunday afternoon. I arrived to find both owlets gone from their usual spot. 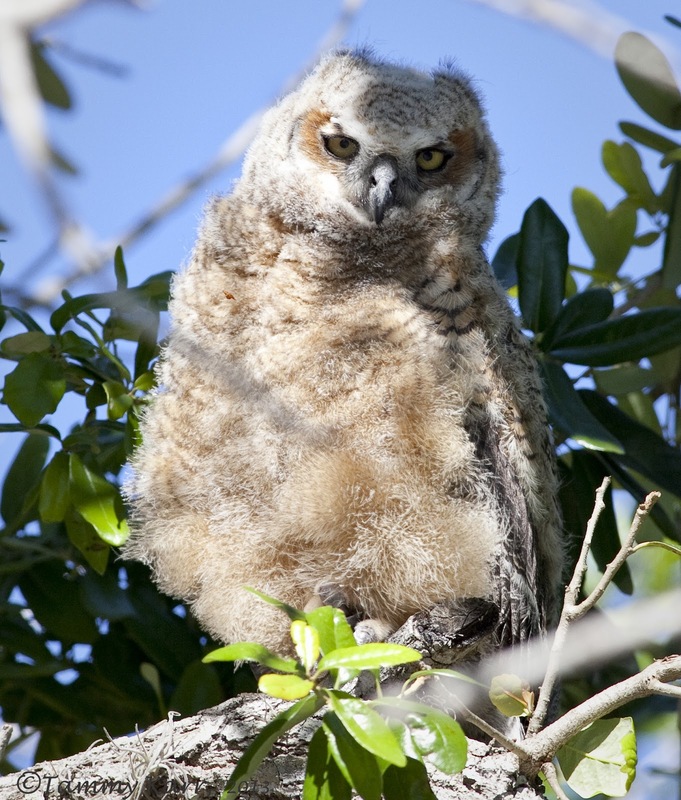 Great Horned Owlets usually leave the nest after 6 or 7 seven weeks but do not master their flying skills until 10-12 weeks. 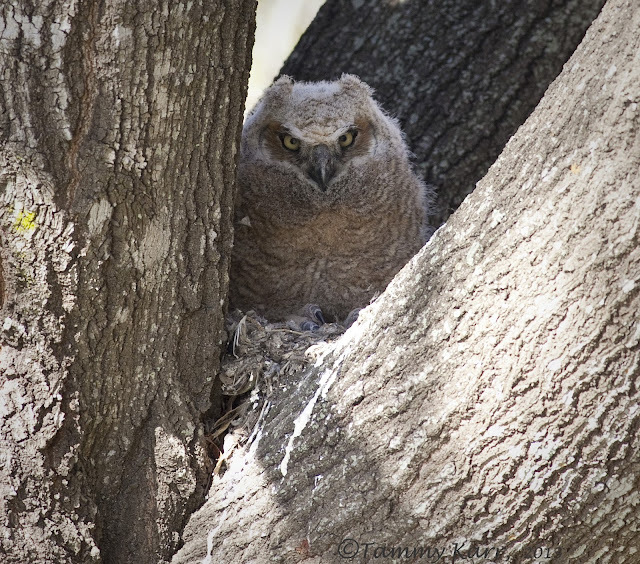 One owlet had ventured to higher branch while the other had moved to neighboring tree. 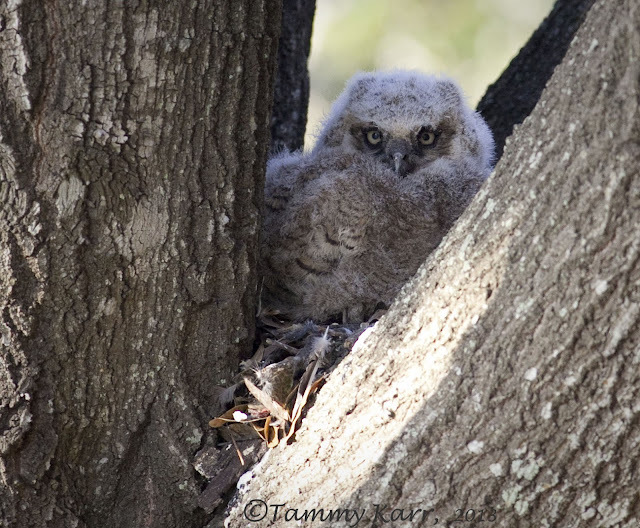 This owlet moved to the tree in the sun and was trying keep warm! Last weekend was another reminder of just how quickly time flies..
...when you're havin' fun! Where has the time gone??? Happy birthday to my favorite little birding companion! Compliments for so much great pictures.....they are all beautiful. I am so envious of the opportunity you had to watch these little critters grow up. 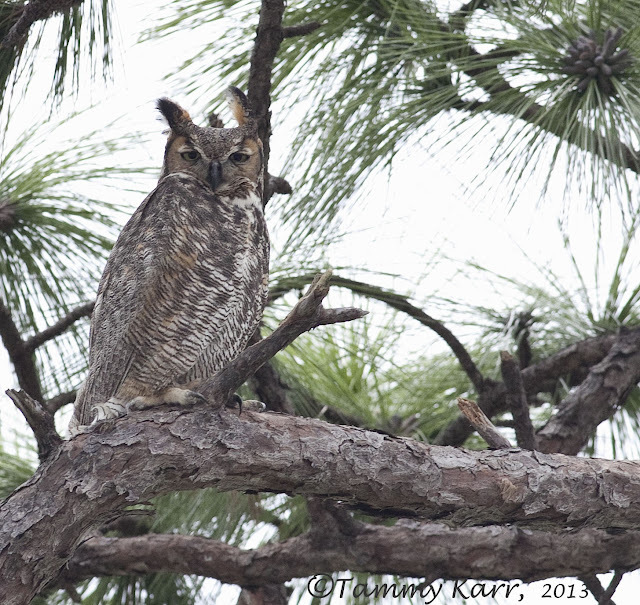 I've only heard Great Horned Owls, up in the Maine woods. Such great photos! Your little birding companion is adorable. Owls are truly my most favorite bird. Fantastic shots! And your little birding companion is adorable! Such a sweetie! Priceless. Like you, I do love Owls. Great set Tammy, love the second shot, brilliant. Wat mooi om de uiltjes zo te kunnen volgen gewldig mooi, en de kids ja die groeien ook zo snel. 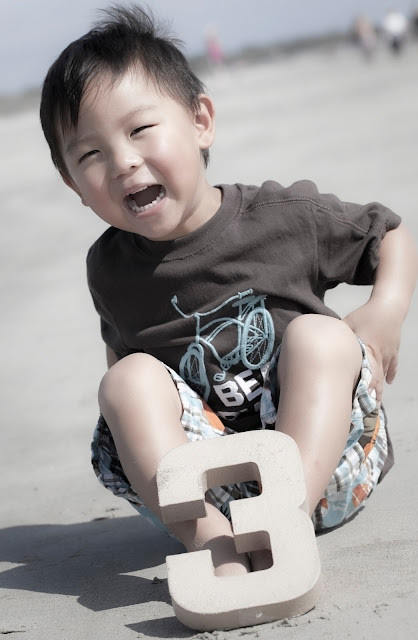 Happy 3rd Birthday to Master Adorable. I smile each time I see your ID photo of him at your knee Tammy. You two have made priceless memories that will a last a lifetime. Great photos of the owls you have made ​​Tammy. love the owlets! so cute and intense! Great documentation of the owls' progress! That last nestling appears to be growing fast, too! Wonderful shots Tammy! Really Great! You must have had a really good spot to get in to take the owl shots. It's as if they were posing for you. Time does fly and before you know it the kids are grown and have kids of their own. Enjoy every moment. The little owls AND your little companion are just darling! Great post Tammy for both the feathered young and your son! Those chicks are adorable, what a cute boy you have too! Great pictures - the speed at which owl and kids grow is startling! 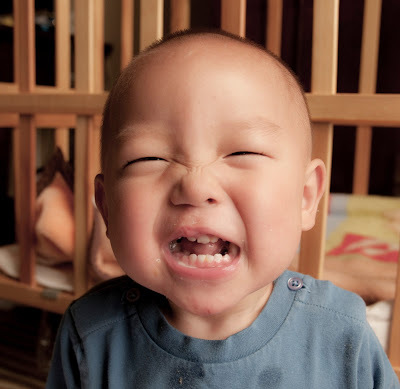 A fortnight ago my some was born, and now he's ten - how does that work! Wonderful pictures. I love that owl. And hold on to every memory you are making with your son . 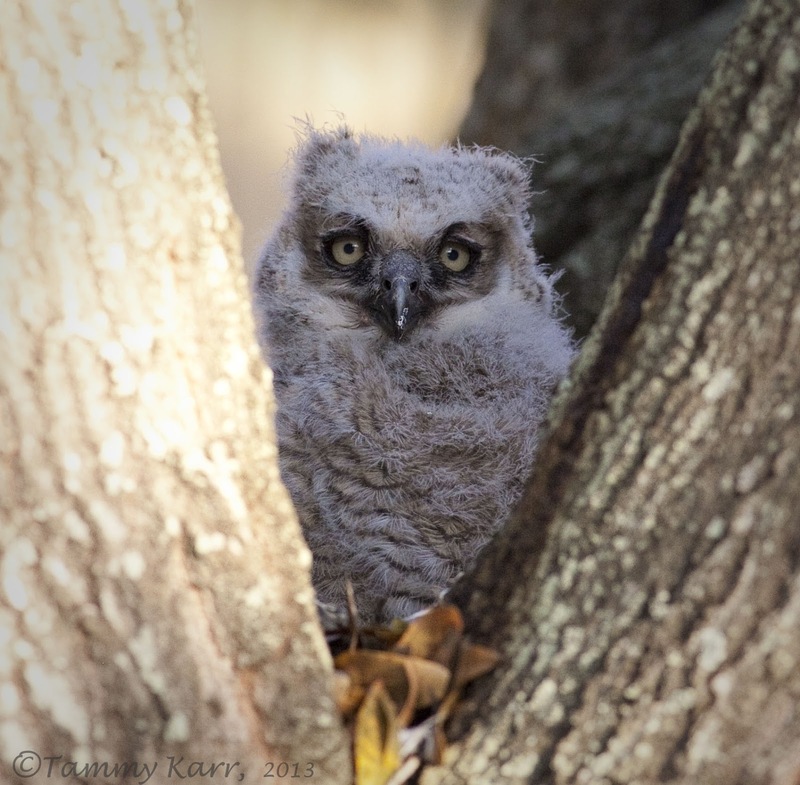 Like the owlet,s they grow so fast. I just became a empty nester, 2 within a month, just like those owl,s will be. Thanks for sharing pics of your beautiful son too. Wonderfull Tammy.. Love it.. Owls are fantastic criatures.. Cheers!!! Happy birthday to your little partner!!! Tammy the owl shots are so close and crisp, they are so cute. I did not know that they take over the osprey nests. Ours will be branching much later on. One of our horned owls made a sudden nest in a flower box, and they put a cam on it and her babies...I guess you can just google owl cam in BC. Great Owlets are beautiful, and a happy birthday to a 3 years old. Muy buenas las fotos de los buhos, el adulto tiene un camuflaje increíble y los pequeños son muy tiernos. Wonderful shots. 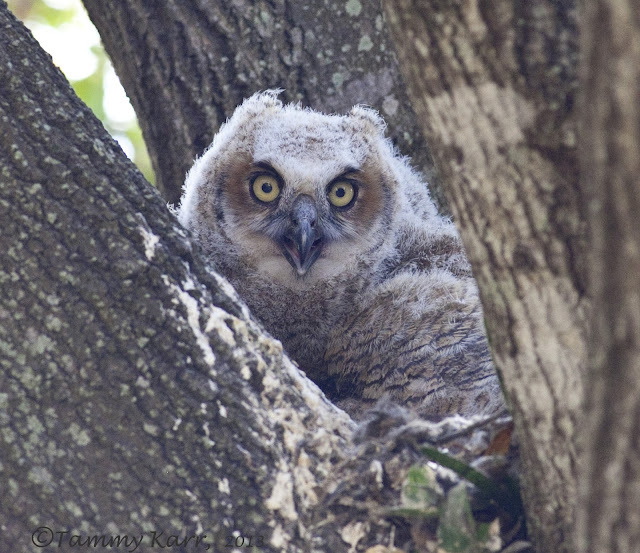 I just found a Great Horned Owl in an Osprey nest just off a major highway. So wild to see. and the little are soooo cute!! good job!! Lovely owl serie they are so stunning. Happy birthday to your birding campanion. 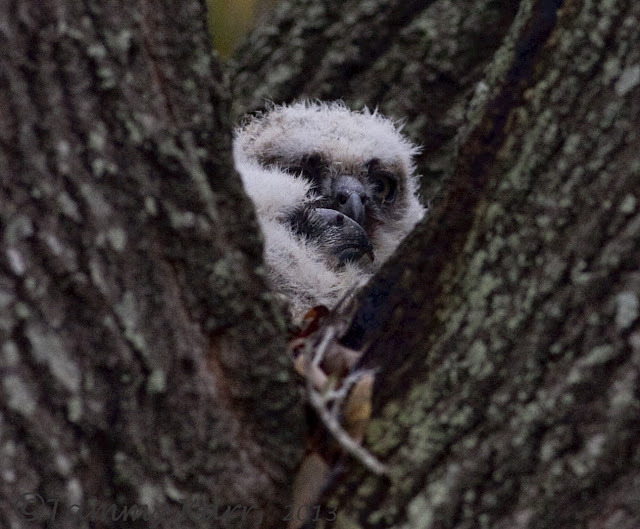 Nice documentation of the growing owl - and the little boy. Happy birthday to him!